The Fourth of July and sparklers go hand in hand here at the Maker Mama house. Sparklers are a fun, easy, and inexpensive way to light up your party if you live inside the city limits like I do. Plus they make for some great photos! 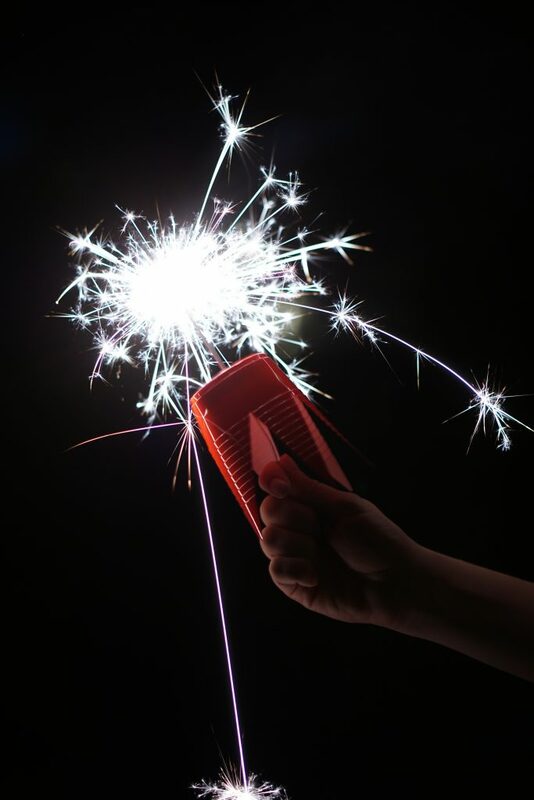 When we first started using sparklers, my younger kiddos were often a little weary about holding them. They’re pretty much pros at using them now, but I made these DIY sparkler holders for any younger friends who may be celebrating with us. 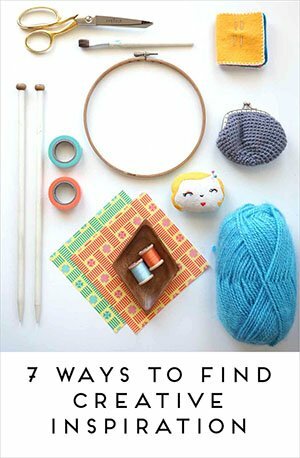 Find out how to make them below. The only things you need to make your DIY sparkler holder are a plastic cup and a pair of scissors. 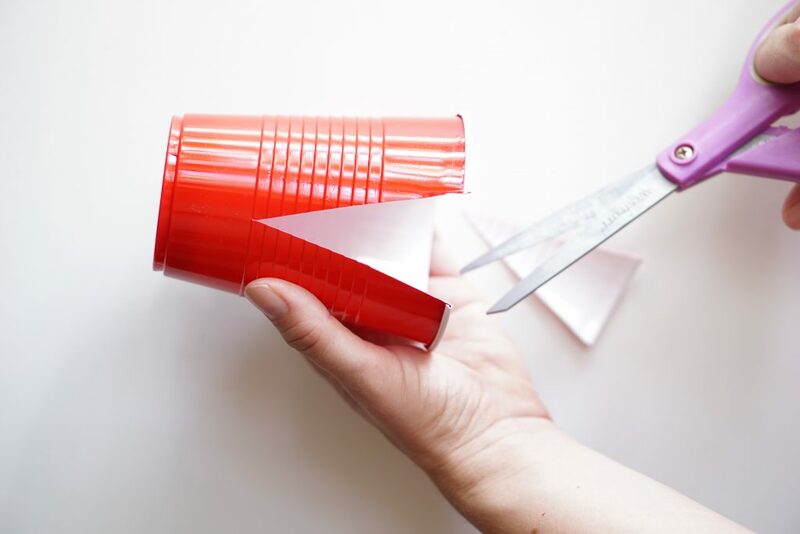 I highly recommend reusing your party cups (just rinse and dry them–gotta keep it green). 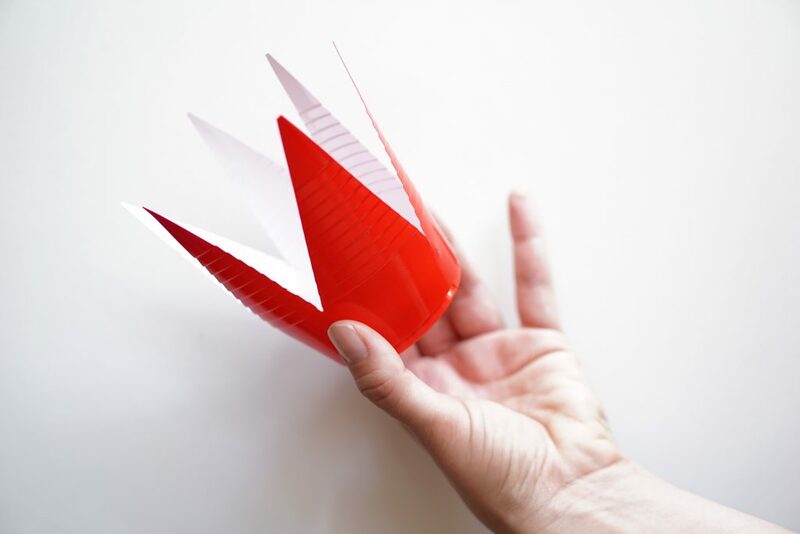 Then cut out triangles making a sort of cup crown. 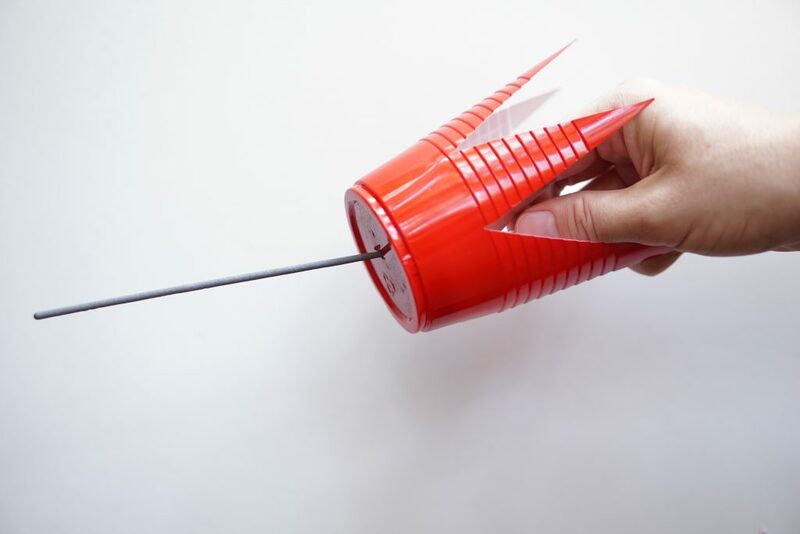 Then, poke a hole through the bottom and add your sparkler! 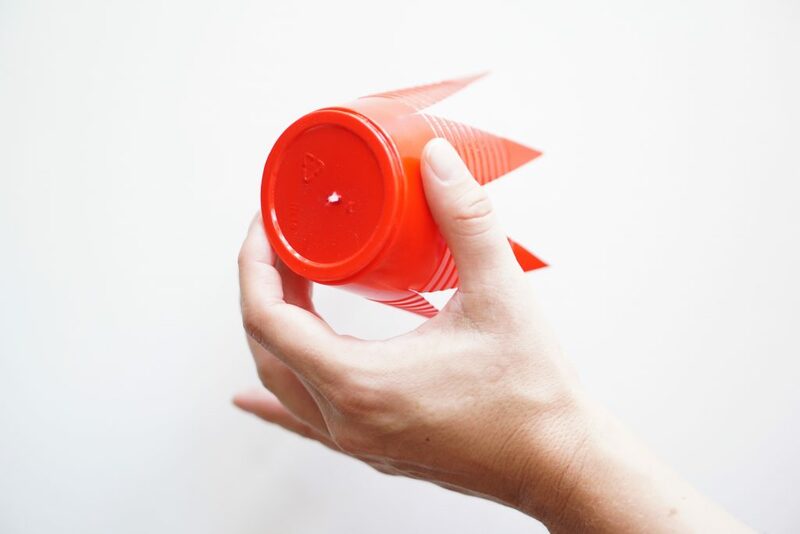 You could also skip cutting the triangles and just poke a hole in the bottom of the cup leaving the cup whole–especially if you have a nervous little one. We’ve never had any incidents using sparklers ourselves. Be sure you have an adult handling the lighting and use just one at a time. And if you want to take a photo of your sparklers in action, just whip out your smart phone and tap on the light to adjust and hold the focus and exposure. 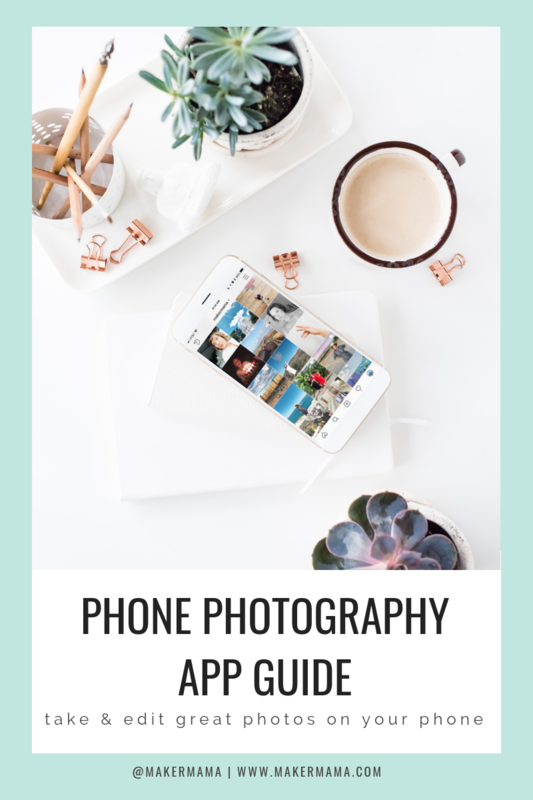 Or you can set up your DSLR on a tripod to get really fancy! Be sure to stop by Alamo Fireworks to stock up on sparklers–and fireworks! They even have a bunch of coupons to help you get the most bang for your buck (literally). Happy celebrating everyone!